We do not sell or provide your info to anyone that is not directly affiliated with The RV Show USA and you may Unsubscribe whenever you like. 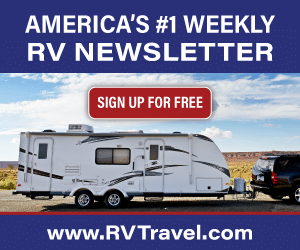 If you do not see the Free Newsletter in your Inbox please check your Spam Folder and mark emails from The RVShowUSA as not Spam. Thank you! Want to reach a wide audience of RV enthusiasts with your product or service? Fill out the form below to submit your question!